Nearly 40 race fans mingled with stars from the NHRA Mello Yello Drag Racing Series under rainy skies on Saturday and helped support a great cause at the 14th annual NHRA Tour de Charity at the Sonoma Raceway Karting Center. The charity event, which pitted race fans against NHRA racers for a day of karting on the raceway's challenging kart track, raised $10, 775 for Speedway Children's Charities, bringing the 14-year total for the event to more than $151, 000. "It's been incredible, " said first-year participant Phil Lloyd of Harrisburg, Penn. "The sense of speed of the karts is fantastic. There is a camaraderie of the drivers and it's all for charity." 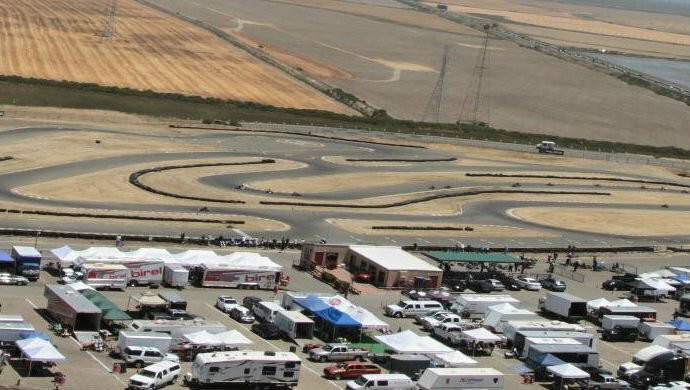 Speedway Children's Charities, the charitable arm of Sonoma Raceway, raises funds for distribution to qualified youth organizations in Sonoma County. The charity has distributed more than $5.1 million since 2001. NHRA Funny Car drivers Jack Beckman (Infinite Hero Dodge Charger) and Ron Capps (NAPA Auto Parts Dodge Charger) as well as Pro Stock Motorcycle rider Scotty Pollacheck (Petrolhead Buell) traded paint and rubbed elbows with fans. This marked Pollacheck's third consecutive year, while Capps and Beckman have been regular Tour de Charity participants since its inception, and look forward to returning each year. "I knew it was going to rain today, but I was hoping that folks wouldn't back out because these are the most fun conditions, " said Capps. "Today lived up to those expectations, and I want to thank everyone for making this such a fun day. This is the best event in the world at a world-class facility." For the third consecutive year, Capps took home King of the Track honors among the NHRA racers, turning the best lap over the 16-turn, three-quarter mile circuit at 1 minute, 4.281 seconds. Capps holds the record for most King of the Track honors, taking the title nine times (2003, 2005-2007, 2010-2011, 2014-2016). Other winners have included Top Fuel drivers Cory McClenathan (2004), David Baca (2009), Pro Stock Motorcycle rider Matt Guidera (2008), Beckman (2012) and Pro Stock Motorcycle rider Adam Arana (2013). Race fans also competed in an eight-lap race at the end of the day, with Sacramento's Matt Sherman taking top honors with a time of 1 minute, 3.640 seconds. @ZPZProduction which episode of (parts unknown/no reservations) did @Bourdain go to Napa/Sonoma and race a car? which track was it?